Assam Chief Minister Sarbananda Sonowal on Saturday said the state and central governments have taken strong measures to seal the India-Bangladesh border and added that the international border in Assam will be sealed in line with Kashmir, Punjab and Rajasthan.Addressing a meeting at the Indian Institute of Entrepreneurship (IIE) in Guwahati, Sonowal said the government had taken steps to stop cross-border infiltration and illegal trade by sealing the international border. "Both the Centre and the state government have also decided to seal the 70 km of riverine border between the two countries in Dhubri, Mankachar and Karimganj districts by erecting electric barbed wire and use latest technology," he added. 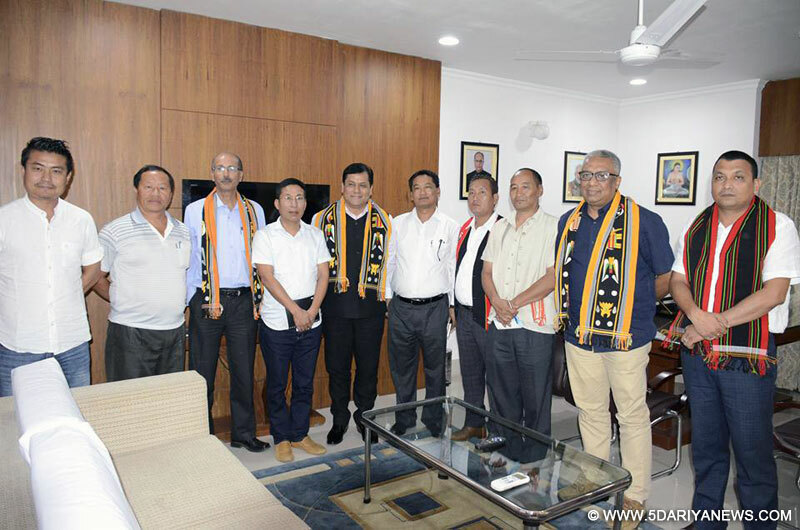 Reiterating that it is important to secure the eastern borders of the country, Sonowal said the people of India will be safe only if its borders are secure. Admitting that there is pressure from illegal infiltrators in Assam, the Chief Minister further said that detection and deportation of each of the illegal migrants is imperative to secure the lives of genuine Indians. "The works are on in full swing to upgrade the National Register of Citizens (NRC), which will help in securing the lives of each of legal Indian citizens of the country," he said adding that the state government is committed to fulfil the aspirations of the people of the state. To a question, the Chief Minister said he will consider the issue of availing Z-plus category security but would not do anything that might create problems for the people. Sonowal has been refusing to avail Z-plus security cover as it causes problems for the people by way of traffic congestion during the movement of the Chief Minister and his cavalcade.